Innovative Percussion Lalo Davila Hickory Concert Drumsticks were designed to the specifications of Lalo Davila, Associate Professor of Music and Director of Percussion Studies at Middle Tennessee State University. These signature model concert snare drumsticks were designed with the beginning snare drummer in mind. 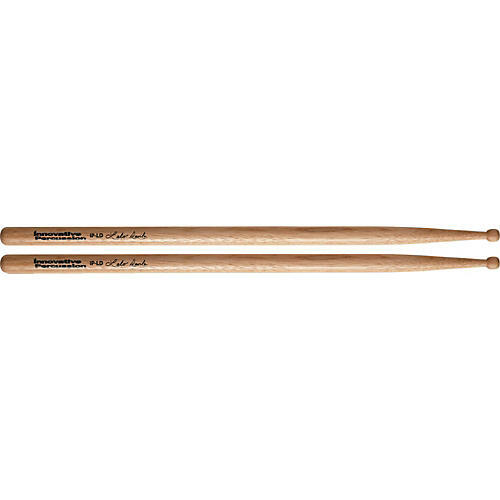 The Lalo Davila Signature Drumsticks are constructed of heartwood hickory, with a slightly smaller diameter to better accommodate the smaller hands of a beginning player. The barrel-shaped bead creates a full sound quality at any dynamic level, while the slightly longer taper provides increased rebound and excellent balance. These are excellent general purpose concert snare drumsticks and are also perfect for percussion educators working with young snare drummers.